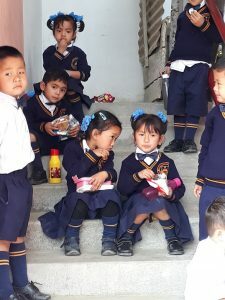 Anna Brian, our Programmes Manger, recently visited schools in NE India and reports on the start of a new school year after a tumultuous 2017. 2017 was a difficult year for our partner schools in Kalimpong, NE India. A general strike called by the Ghorkaland Independence Party resulted in the schools being closed for over 3 months, as well as leaving many parents without pay for the same period. However, when I visited in March this year, the situation seemed much more positive. The school year had just begun, enrolment was complete, and a new generation of (extremely smart!) children were ready to start their school journey. 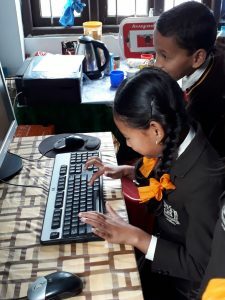 In the final months of 2017, Mondo Kalimpong received a generous donation of computers for our partner schools. Each school has received at least 3 computers, together with large wall-mounted screens so these can be used in the classrooms. A flash drive with appropriate materials has also been provided to each school, giving teachers a wide range of materials, ready to use. Extra funds were also used to provide the schools with new desks, whiteboards and teaching aids: both teachers and pupils thanked Mondo, delighted with all their new equipment! 2018 is also an exciting year for PIQUE – our education quality initiative. Schools have been using this planning framework, first introduced in a series of workshops in 2016, to envision how they would like to see their schools improve. Already, there is evidence that they are putting these plans into action: headmasters spoke of children taking more initiative in organising events and decorating their classrooms, while teachers were observed implementing the phonics training they requested and received last year. 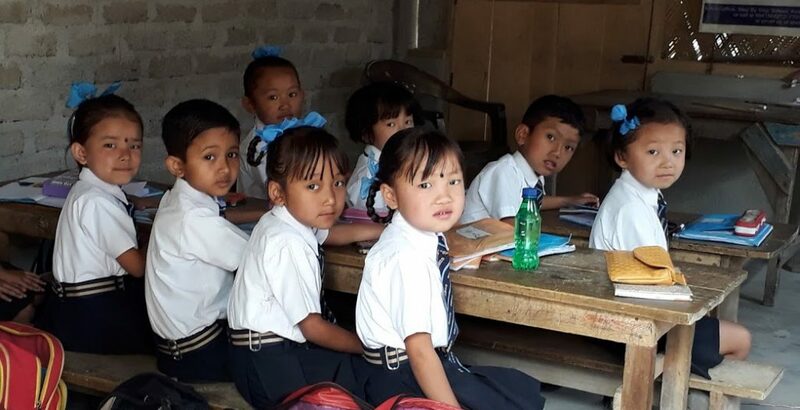 This month, a retired Ofsted inspector, volunteer Michael Dennison, has kindly agreed to spend time in Kalimpong and Darjeeling, visiting all the schools and supporting them to put more of their plans into action. Last year, due to the school closures, we sadly had to cancel the visits of 10 volunteers who had planned to support our work in the region. However on my visit, all the headteachers urged me to get to the volunteer programme started again, explaining how much the teachers and pupils at their schools value the skills and enthusiasm of our volunteers. Happily, we already have 2 volunteers in place this month with several more planning to visit later in the year. Please spread the word! – we are particularly looking for retired teachers and career breakers. Through the generosity of supporters and foundations we have raised and donated £172,489 to support 14 very poor schools in this part of the world. If you have ever visited this beautiful part of the world and want to continue to stand with us as we support quality education please consider setting up a standing order so we can continue to support these schools.